Spring is here! It’s been a loooonnngg winter here in Chicago, so today — the first day of spring — is extremely exciting. It signals warmer weather, new life and hope. Yes, that is slightly dramatic, but hot damn, multiple days of -30 degree (sometimes colder) days over the last few months? Seriously?! Ain’t nobody got time for that! 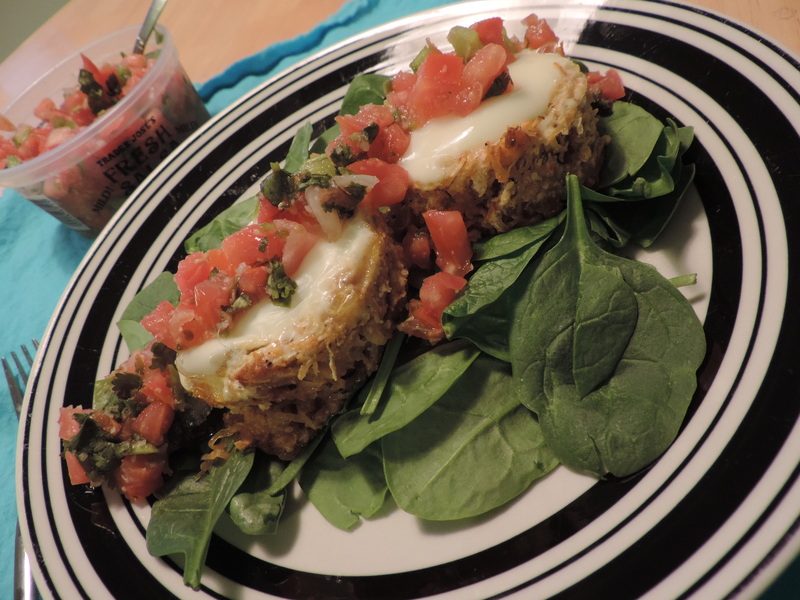 It’s spring and that calls for a spring-inspired dish! And what’s more spring-like than birds? 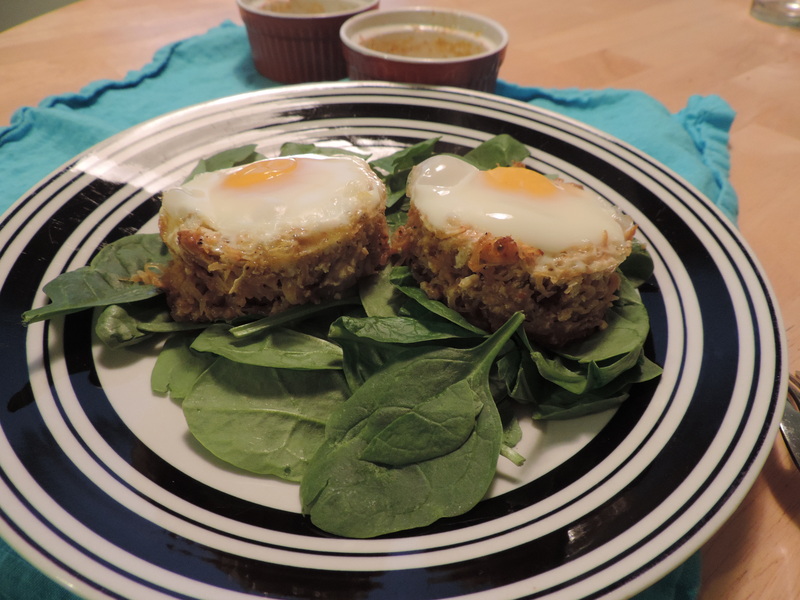 Here’s my play on eggs in a birds’ nest — with a nest made ‘o spaghetti squash with eggs baked in. Spice up the spaghetti squash as you wish, but I’ve taken a Southwestern spin with lemon and lime zest, paprika, cumin and a salsa topper. And of course, it’s served on a bed of organic lettuce, because you’ve got to have your greens! 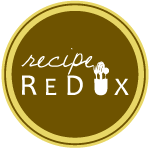 Did I mention this recipe is gluten-free, vegetarian, provides protein (thanks to the eggs), fiber (from the bed of greens and squash) plus loads of other vitamins and minerals? Well, it is, which means you can feel good about this tasty breakfast. 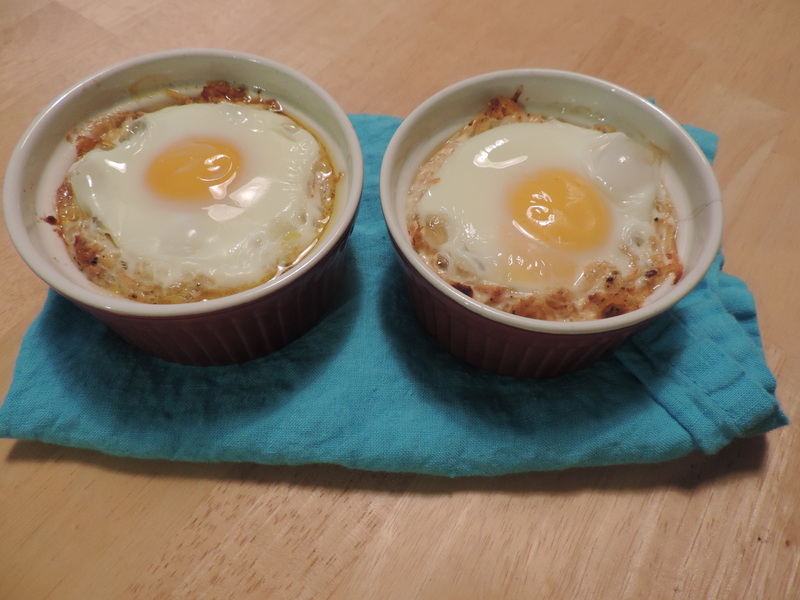 Change up your morning routine with baked eggs, nestled in roasted spaghetti squash. Spice up the dish with your favorite seasonings. Here, I used Southwest spices but this would be delicious with Italian, Mediterranean or Indian seasonings. Use a fork to “string” the spaghetti squash into a medium bowl. Add taco seasoning, cumin, salt and pepper and stir to coat the squash in seasoning. Coat two custard/souffle cups with 1/2 tsp each olive oil (or use olive oil spray). Add spaghetti squash mixture, forming it around the bottom and sides of the souffle cups. Crack one egg into each cup. Bake for 20-25 minutes, or until white of the egg is set. 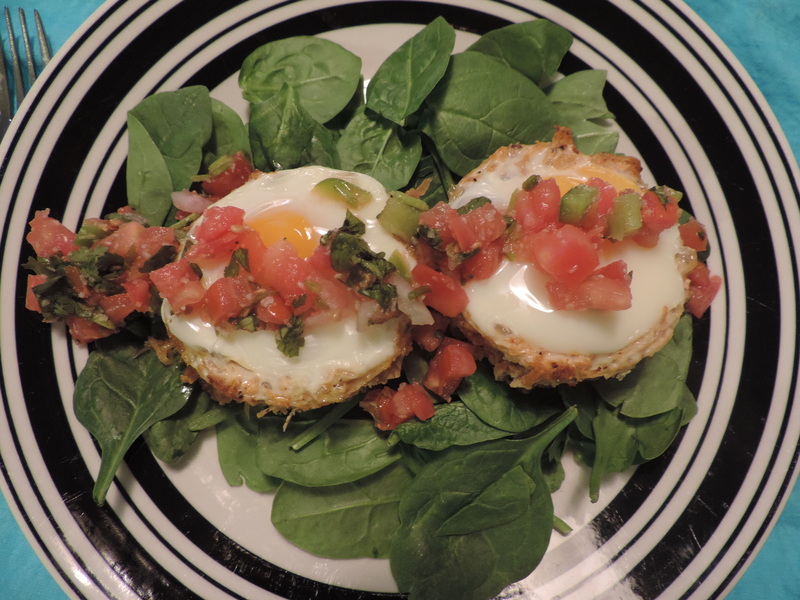 Use a small spatula, spoon or fork to “unmold” the nests. Serve over greens and top with salsa. 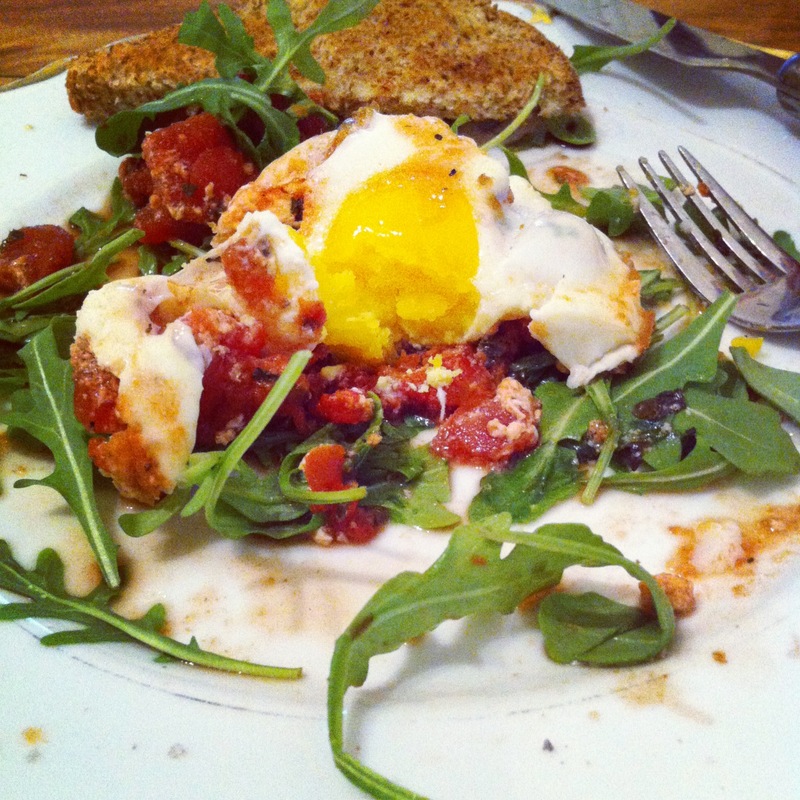 Once you cut in, the yolk will run over the whole dish creating a creamy, unctuous breakfast dish! 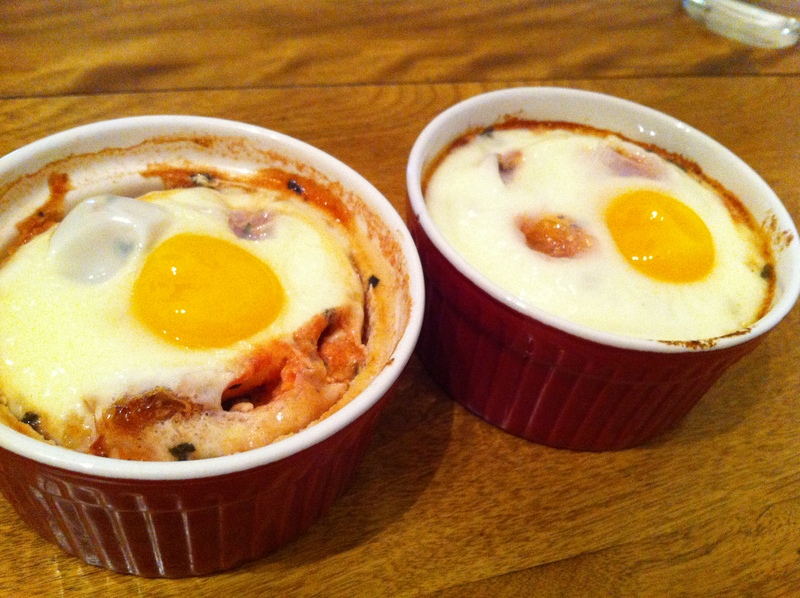 Intrigued by this whole baked eggs phenomenon? 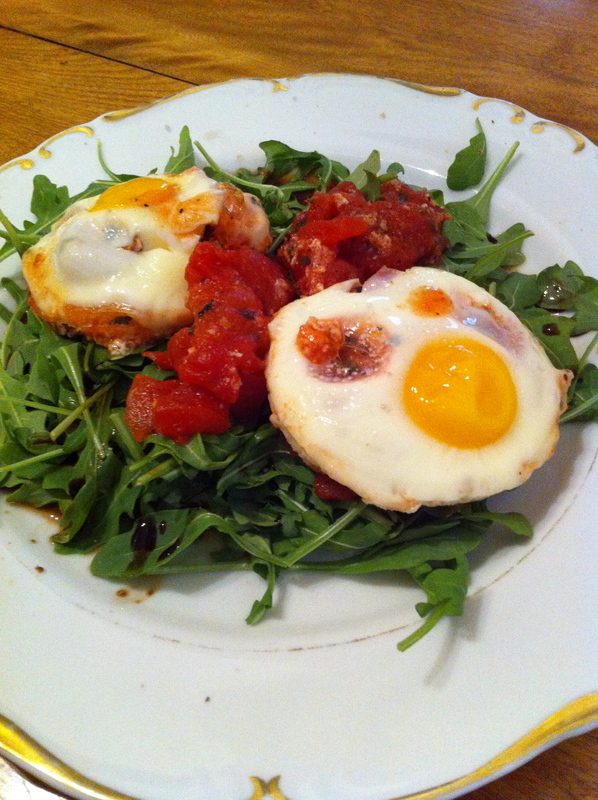 Check out this recipe for Eggs Baked in Tomato Sauce.